Leg injuries can occur from an accident, a fall, sports or work. The rate of injuring your leg during sports is higher where you may pull a muscle, have an overuse injury or some type of trauma caused by a blow to the leg. You may also twist or bend your leg in out of the normal position. You may feel pain or experience swelling from a hamstring, thigh or quad strain, shin splints, calf strain or a pulled groin. If you have been injured, it is important to rest and provide compression or additional support to the injured area with a leg sleeve or brace. 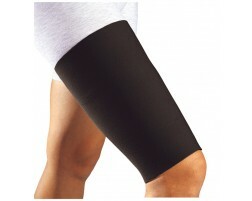 By wearing a sleeve, you will be able to provide compression in the right areas to help relieve pain. A sleeve will also help provide warmth to the injured tissue. 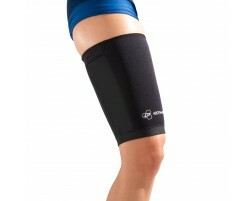 This compression will provide the needed support for your leg as you heal. Use our guided tool, Brace Advisor, for recommendations on which brace or support to select based on your leg injury and intended use.